Please welcome special guests Cindy Brown and Alexia Gordon! Last year, unbeknownst to us at the time, all three of us were writing books set in theaters. Not just theaters but specifically opera houses. And not just opera houses but haunted opera houses. We must have been plugged into the same cosmic channel while we were drafting…or perhaps the spirits had a little something to do with it. Today, we’re pulling back the curtain on each one. I’ve never worked in a theater that didn’t have a ghost. Ghost lights still burn at night in most theaters, although people like to say they’re lit for safety as opposed to superstition (I’m betting on a combo of the two). Ghost light burning at the Orpheum Theater in Phoenix, Arizona. Phoenix’s Orpheum Theater, which partly inspired the theater in The Phantom of Oz, is haunted by several spirits, including a cat that leaves tiny footprints backstage. Most of the stories in Phantom are ones I’ve been told, and I may have experienced a few of them myself. Okay, okay, I did experience some of the ghostly goings-on in the book. Does that mean I believe in ghosts? It means I’m not going to discount their existence, and if it’s up to me, the ghost lights will always be lit. A soft adagio, notes so low that Gethsemane strained to hear them, intensified into an eerie allegro, reminiscent of a danse macabre. Gooseflesh pimpled her arms. She shivered and tried to convince herself the faint strains of Tchaikovsky’s “Pathétique” that played somewhere deep inside her head weren’t warning her of impending disaster as they competed with Aed’s ominous melody. Interior terrace side of the Cleveland Symphony Orchestra Hall. 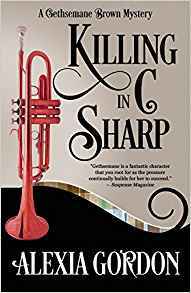 I write a paranormal mystery series starring Gethsemane Brown, an amateur sleuth who’s also a classical musician so a haunting in an opera house made sense. The theater world is notorious for paranormal associations, from cursed plays—you know, the Scottish one—to performers’ ghosts returned to the stage for a final curtain call. An opera seemed a perfect vehicle for a curse, as operatic scores overflow with lust, unrequited love, murder, and revenge—prime ingredients for a proper hex. I read an Eastern European legend about a bride who was immured in a castle wall after being tricked by her brothers-in-law who sacrificed her to ensure successful construction. The story disturbed me. The bride had no say in her fate. She wasn’t even walled up as punishment for some crime. She died only because she brought her husband his lunch. I thought the murdered bride deserved her revenge. Why not have an opera based on her tragedy be the catalyst for her ghost’s retribution? I never set out to write a (slightly) paranormal story. When I began The Spirit in Question, all I knew was that it would involve Tolliver Ingersoll, a character with a big personality who had been cut from the first two books. My editor had been right about that—he didn’t serve any necessary purpose in those stories, but he just kept walking into scenes while I was drafting! So I decided to give him his own book. Another opera house said to be haunted in Central City, Colorado. Since Tolliver is a playwright, the book needed to center on a play. 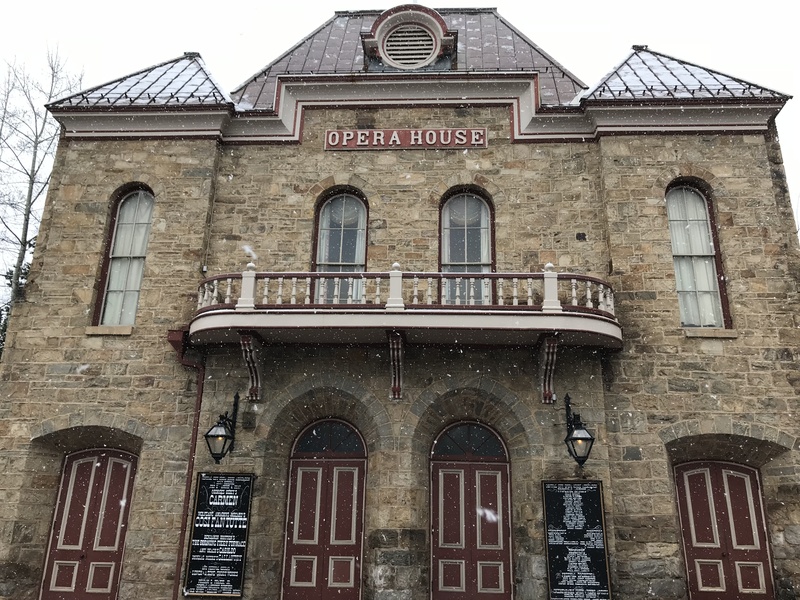 As I began to imagine the theater in which it would be staged, I remembered a tour I’d taken years ago at the Tabor Opera House in Leadville, Colorado. It was the kind of unsettling visit that sticks with you. As soon as we entered the theater, my senses went on high alert. Although it is a beautiful space, the shadows loomed and the air was charged. And when we went below the stage, all I can say is that it was full of presence. Instant goosebumps. Ice-rolling-up-your-spine type of thing. Creepy. Weird. Uncanny. Wonderful. So of course that’s what emerged in the book too…in the form of a haunting. Have you ever been in a haunted theater? Or…what is your favorite theater? Your comment will qualify you to win an ebook from Cindy, Alexia, or Cynthia. Winners will be announced tomorrow here in the thread. Wishing you a spirited Halloween, everyone! Cindy Brown writes the Ivy Meadows Mysteries. For more information, please visit cindybrownwriter.com. Alexia Gordon writes the Gethsemane Brown Mysteries. For more information, please visit alexiagordon.net. 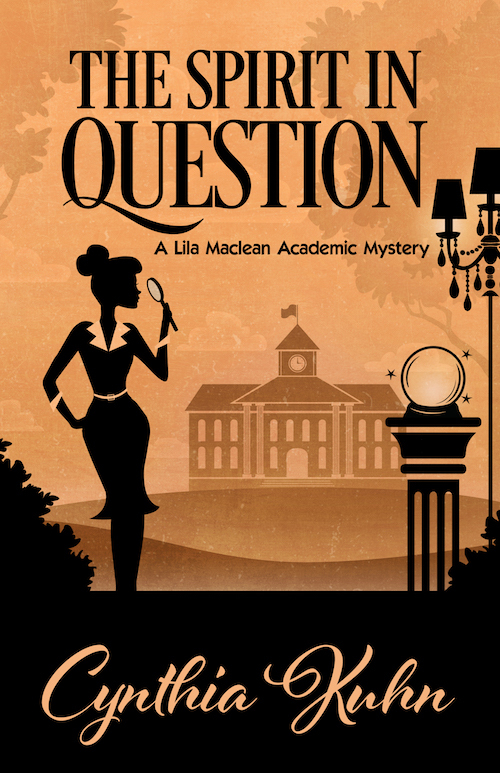 Cynthia Kuhn writes the Lila Maclean Academic Mysteries. For more information, please visit cynthiakuhn.net. 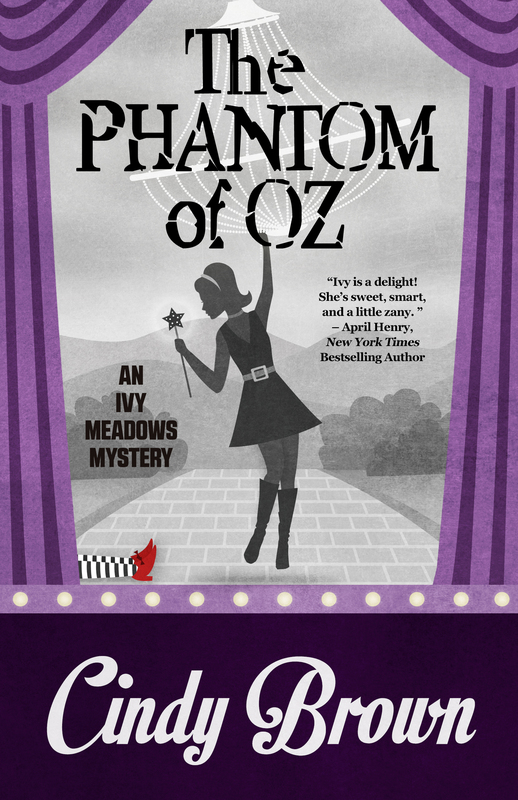 Tags: Alexia Gordon, Cindy Brown, cozy mysteries, Cynthia Kuhn, ghost, Giveaway, Henery Press, Opera House, paranormal. Bookmark the permalink. OMG, how great are these stories? And these opera houses? Thanks so much sharing the real behind the fictional. And thanks for visiting, Alexia and Cindy! Thanks, Ellen! And big welcomes to Alexia and Cindy–so happy that you’re both here today. Thanks for having me! I love a good ghost story so it’s always fun to find out who else is writing about haunted places. I can’t say that I’ve ever been in a haunted theater. I’ve actually never been in an opera house at all. But your stories behind the stories were great & add so much to reading the book. How cool that you all have books with similar themes! I don’t go to the theater often enough to have a favorite, and I’ve certainly never been in one that was haunted (that I know about), but I guarantee I will be thinking about ghosts the next time I’m at an opera or a show. “I guarantee I will be thinking about ghosts the next time” = Ha ha! Our work here is done. Thanks, Marla! The Akron Civic Theatre in Akron, Ohio!! I never saw any of the ghosts – but not for lack of trying!! What an adventure, being in a haunted theatre! It is no wonder they are haunted, with plays about ghosts or murders or just death itself. Great point, Deb, about the topics there. Thanks for the comment! This is so cool! Great minds think alike, but put their own twist in it, right? I love the idea of haunted theaters. Never been in one myself. Unless you count seeing Phantom of the Opera live. That counts, right? My favorite theater look is actually the Wheeler Opera House in Aspen Colorado. My ex wanted to get married in it. For status purpose, you see. And the reception at the Hotel Jerome. Again for status reasons. Uh, no! I thought using a historical landmark like that for a wedding is tacky. It’s a place for the arts! Yes, Phantom counts! 🙂 And I’ve never been to the Wheeler…going to add that to my list. Thanks for the mention. And yes, the opera house in Central City is right near the casinos. Pretty handy. Amazing stories (both real and bookish)! I love books with paranormal elements, but have never had an otherworldly encounter of my own. I vote for a book tour to the opera houses that inspired your work! Sounds like a fun tour to me. I’m not sure if it’s haunted, but the Garret Theatre on my university campuse (housed in what used to be a chapel) certainly has the right atmosphere for a haunted theater. Very beautiful, but slightly creeping and gothic at the same time. Cynthia, so glad you brought friends with you to Chicks today! Love all three of these series — and their authors! I also love ghost stories and want to believe, but so far I haven’t encountered any (unless you count light orbs in photos) in theaters or elsewhere. BTW, those light orbs appear in “Phantom.” A ghost, or just lights? I’m not telling. ❤️ you too, Vickie! And…orbs count. YES. And thank you for having the books already! Have just started reading Cindy Brown series and what a treat!!!! Yay – so glad you like Ivy! And I have to say, Alexia, that story in your excerpt gave me goosebumps! And now that I mention that, Cindy, the doors in your excerpt gave me goosebumps too. To recap: I have goosebumps. It’s a legend that appears frequently in Eastern European folklore. Any cross cultural folklore/mythology experts out there who can tell us more? Three authors I love writing about a topic I love! Theatres + ghosties …. I’m so in! ❤️ You are so sweet! TY. Thanks to these 3 spirited authors for a fun post! Cindy, was the husband in on his wife’s stonewalling? Was he at least ticked off? Cynthia, I am haunted now by that opera house photo–eek! And Alexia, the Cleveland Symphony Music Hall photo eerily reminds me of the old Malice hotel. They all sound enticing. I don’t necessarily believe in ghosts, but I think there have been paranormal occurrences that can’t be explained away. My family and I once stayed in a cottage in England the was several hundred years old. I felt a presence there so strong that after pulling the covers over my head, I told my husband that if our children needed anything during the night that he would have to get up to deal with it. I wasn’t leaving my bed. Was it scary? Thanks for the comment! Wow! That is eerie, Marilyn! ★ Thank you to *everyone* for commenting and….here are the winners, selected by the random number generator! Oh yay me! Thank you so much! As much as I am being drawn to this particular book because I love hauntings, I think I should start at the beginning of Cindy’s series. Else I will be seriously confused. And you DO NOT want me confused! I choose Macdeath. Lay on McDuff! I will figure out who the killer is before the curtain falls. I Want a standing ovation! Thank you again, and I can’t wait to go on this adventure! It seems as if I was with you in Leadville. I can almost see the front steps as we rose up into the first room. Probably because your description matched mine. Thank you.